I think 4:52 is a soft bet given Roisin’s ability but it is difficult to predict anything greater for a first time out. @Biff Thanks I think things can still change through Wednesday. Quick thoughts outside the main event boys mile: Surprised no wisconsin teams doing the distance medley. Very excited to see potter run the fast heat of the 800. Levenson from Janesville in there as well after winning tfa (he won that race after a full basketball season very impressive) Madoch and leffel in second fast heat of mile either can win sub 4:20. I didn’t see the Janesville sophmore 2 miler or ystenes for Middleton gonna say both are likely injured at this point unless they pop up elsewhere this weekend. 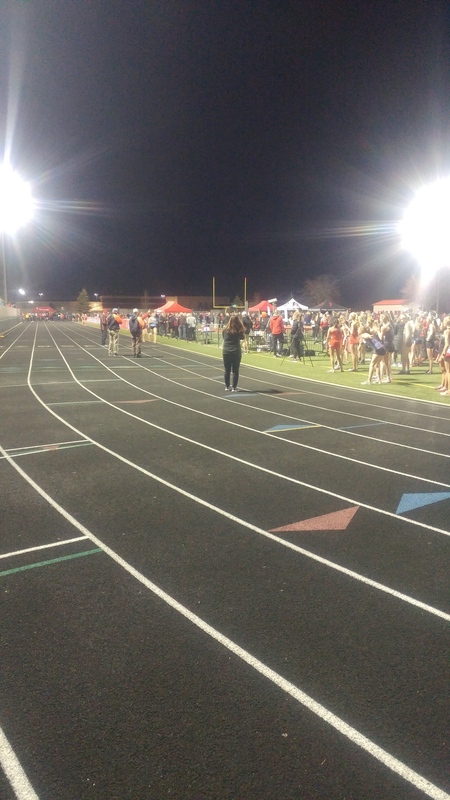 Most of our top studs are at the palatine meet but I would argue they aren’t the ones who need it as much as the up and coming 2 milers who are running 9:40s/9:50s in small wisconsin meets but may be able to go 9:20s in this setting. Most likely if they can make state they will get their opportunity on the premier stage but some of them may not run a fast race at 3200 all season due to race tactics and this would be a good opportunity to gain confidence, improve their prs and think bigger for cross next year. Those group of runners for the most part aren’t making the journey. Originally the meet was going to be on MileSplit, but Palatine posted this morning it will be live streamed on YouTube for free. I can’t find the race or the results anywhere including on milesplit anyone else having better luck? Well pahnke just showed he has a outside shot at Chapman in the mile in class b after running a surprising 4:21 in the second fastest heat, the fastest wisconsin boy so far. Somewhat surprising since pahnke lost to his own teammate I believe earlier this week possibly last week 2 flat to 2:06 in the 800. Tonight scalps included leffel and kisting, madoch didn’t run. Although worthy of a head scratch indeed Roisin Willis is a 400-800 type as of this point in her career. She was about 56-2:06 indoors almost indicating she has a chance to challenge low-2 by outdoors but then from the 1600 to cross country she normalizes in the most phenom sense of the word. Still, 4:53 is about the most that one could expect from an elite and first 1600 outing in high school uniform. Rowan Ellenburg first competitive race of the season and he runs 4:11 almost 3 seconds ahead of Easton and 2 seconds behind bosley. If he is gearing up still he should have his best races in front of him and he should be thinking he can win. I almost started a separate topic on this very thought before you posted it. I thought to myself that Rowen’s journey has insofar held on to more of the Wisconsin purist ideology with appearances at TFA and no out of state competitions until this point. Sometimes the repeat journey is different from the naive up and coming junior meets which I am sure he is realizing. If we split hairs Ellenburg was slightly slower at this year’s TFA opposed to last year but still won the race. No longer are the days we go to meets wondering if someone is going to break 4:20. When these kids show up at the line it’s a question of how fast they’re going to go that day. I still think any sub-4:10 at the high school level is the result of good miling. Because if they died endurance wise during their pursuit we would quickly jump to the 70s and marks would be closer to 4:20. To slice micro seconds they are more or less searching for a new gear to close which is hard to teach. They have to be so into the race psychologically that the fear of losing triggers adrenaline. Cant just be about personal bests at state. Going for the win has to come from the primitive level and along with that the times will come. Rowen can use the FVA quad meets to run 400s and take to an 800 in early May and see if he can top Malley’s mark. If one of his meets is at Appleton East he could make this all very special. I dont want to limit people but it seems Bosley is plateaued at 4:09 for the moment and last night proves he is not unbeatable. The 400-800-4x400s at the quads will do him well. A great question is whether Rowen can get to 4:06? This mark would definitely win state and if Bosley goes with him perhaps one of them will surpass Jennings. The idea of replacing the original post-season All-American, Prep International, Keebler and Distance Gala-Festival meets with an early outdoor was initially abstract to me but the spirit of those meets lives within this one which is, of course, really neat. In addition, since the decline of the Monona Grove meet in early May this meet sort of does all that two weeks early. Gives the elites a chance to test out their wheels and still have a 6-week window before their respective state meets. Whereas Monona Grove gives you only two and the post-season meets are sometimes a week too late. Distance Night is more of a launchpad than it is a finale which I like a lot. O’keefe was psychologically into the race, to be sure. When he went past Bosley like he was standing still with about 300 to go I wondered if he’d gone too early. He had, sort of. My view from 200 to about 10 to go was obstructed, but it looked like Bosley was just barely back into the lead when they popped out from behind the gauntlet with 10 meters to go. And he held it until about the last 8 inches of the race when O’Keefe got him and promptly crashed and burned. Great finish, from a kid who CLEARLY wanted it.